This is one of the largest glass mugs available. 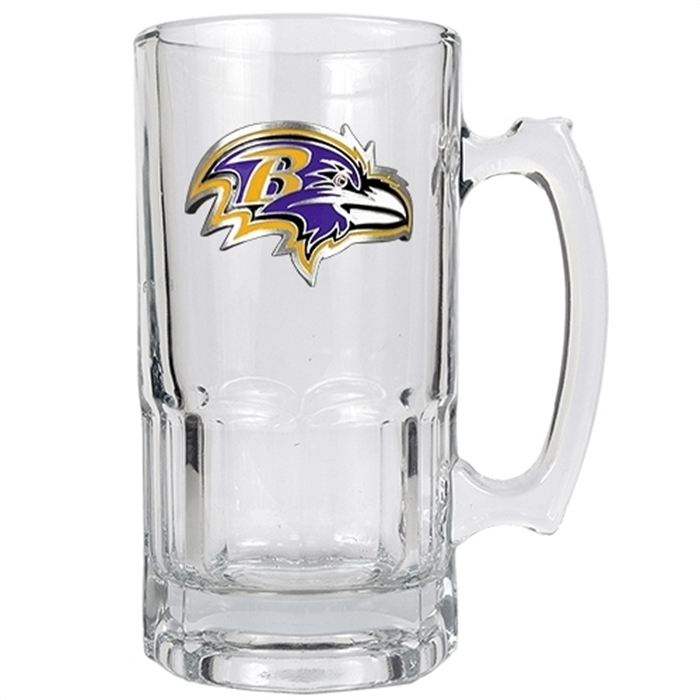 Drinking out of this 32 oz mug will certainly show off your Baltimore Raven pride in a big way. The Macho Mug is decorated with a high-quality metal team logo and is available in all NFL, MLB, NBA, NHL®, as well as over 90 colleges.